There are a lot of USB-C docks and accessories on the market today. While the port can be found on Windows and Linux machines, you can thank Apple for the overall popularity. When the company went all-in with USB-C ports on the MacBook Pro, accessory makers really took interest. Today, Belkin releases a new dock that uses the newest USB connector. 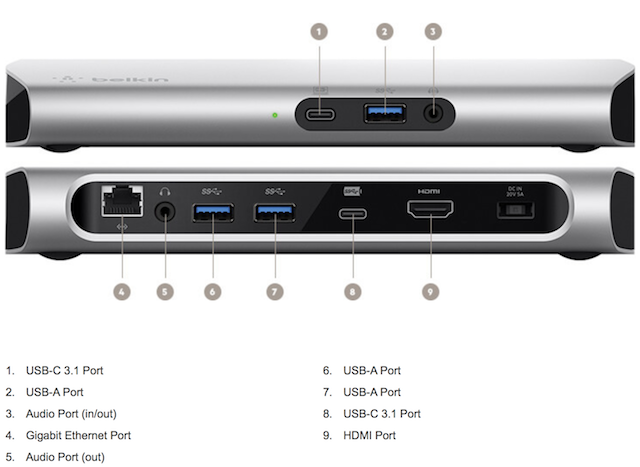 Called "USB-C 3.1 Express Dock HD," it features 8 ports. Best of all, it can charge your laptop while it is connected. While it does offer 4K video, it is unfortunately capped at 30Hz, making it a non-starter for many. "This new dock allows consumers to connect up to eight devices and take advantage of 4K HDMI video output, gigabit Ethernet connection, and crystal-clear audio in and out. Power Priority technology keeps your main device charged while sending 60W of power delivery where it's needed. Power Priority assesses each connected device's size and charging needs, then distributes power accordingly so all devices receive an optimal charge. 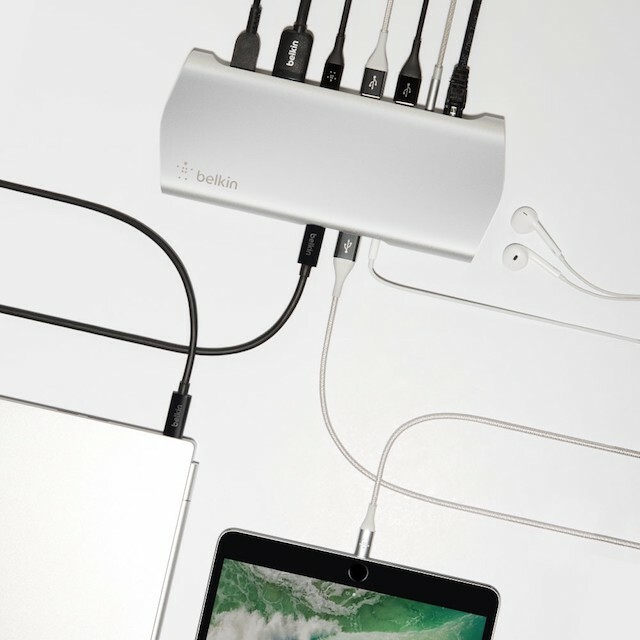 The USB-C 3.1 Express Dock is a true single-cable docking solution; essential for connecting and powering your world," says Belkin. Andrew Camba, director of product management, Belkin explains "There is increasing consumer demand for more power, more connectivity, more convenience – and we've answered that call with this new dock. As more devices accept power delivery and consumers have a wide variety of electronics that need to connect and communicate with one another, we are making good on our Belkin promise to help people realize how the power of technology and makes their lives better, easier and more fulfilling. Now people can connect, power, communicate, sync and transfer data, using one dock and one cable." Belkin shares the following features and ports of the USB-C 3.1 Express Dock HD. While you can buy the Belkin USB-C 3.1 Express Dock HD today here for $230, I would advise against it if you own a 4K monitor. After all, you can get a Thunderbolt 3 dock with 4K @ 60Hz for a similar price. In 2017, 30Hz is simply not good enough. Heck, if your computer doesn't support TB3, you can get a 4K @ 60Hz USB-C dock from StarTech for just $224 -- $6 less than Belkin's offering.